Turkmen national cuisine has much in common with the cuisines of other Central Asian peoples, primarily, the uzbek and karakalpak, this is explained by the similarity of natural conditions and ethnic characteristics. However, the Turkmen cookery maintained its national originality, which shows itself as in the assortment of dishes and ways of their cooking, as in the ritual of food serving. The distinctive ways of cooking of various traditional national dishes are typical for different regions of Turkmenistan, that is due to the peculiarities of farming or to the influence of the neighboring nations. There have been great changes in the Turkmen cuisine in recent years. Earlier vegetables (beet, onions. etc.) have been added in the meat soups occasionally, but today chorba with vegetables, especially with potatoes and tomatoes is an everyday food in all regions of Turkmenistan. Onion is especially popular. It is eaten in raw form, served with dinner, and used as a seasoning. Black pepper (gara burch) is used as a seasoning for dishes, and garnet (nar) and leaves of grape are known among the inhabitants of the oases. Meat, milk and flour dishes take the main place in the Turkmen national cuisine. The Turkmen prefer mutton from all kinds of meat, they eat a lot of chicken. The Turkmen do not eat horse meat. Such cas chorba, gaynatma, soup with bread - dogroma, palov, roast - govurma, govurdak, shashlik and others are the most common among meat dishes. Among the consumed meat the fowl - partridge, waterfowls, as well as meat of hares, gazelles, deer take a quite large place. It is used for palov. The main methods of cooking meals of the Turkmen cuisine are boiling and frying, often with the following quenching. Govurma (kovurma), which is used for the procurement of meat in store and cooking of various dishes is particularly spread. Chopped into small pieces meat is fried in fat of the same animal. The canned govurma by such way is considered one of the delicious dishes, it is used in both cold and hot. The soup - gara chorba is cooked from govurma. 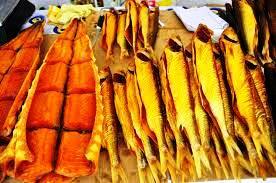 In the coastal areas of Turkmenistan fish - sturgeon, hausen, herring is widely spread. The traditional dish – palov is cooked with fish. Besides meat and fish dishes, different kinds of porridge made from rice, millet, mash, etc. take a great place in the Turkmen cuisine. The Turkmen use cow, goat, sheep and camel milk for making various dairy products and dishes. For example, dairy and clarified butter, sour milk- gatyk, a special kind of cottage cheese - suzme, as well as peculiar cheese – gurt are made from cow milk, cheese – peynir is made from goat’s and sheep’s milk. Camel's milk is used for cooking the favorite soft drink - chala. Finally, another characteristic feature of the Turkmen cuisine is a variety of flour baked goods. 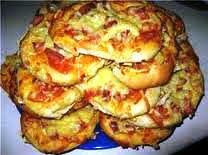 Throughout churek is in high demand high, it is baked in the bakeries and in the rural bakeries. Different flat cakes made from sour dough, cakes (gutap) with different fillings baked in fat and vegetable oil, potpie - atli nan are widely spread. Pelmenis - borek and noodles – unash, from unleavened dough dumplings cook - Borek and noodles - unash filled with sour milk are cooked from the unleavened dough. At any season the Turkmen drink green tea – gok tea in quantity. On the west of the country black tea – gara tea is spread, it is drunk mainly in autumn and winter. Each tea drinker is served separately with the porcelain teapot with the drinking bowl. National dish and inventory are firmly retained in the mode of life. For example, liquid food is served in enamel bowls of the local production – tobacco, roast meat and porridge – are served in flat wooden bowls. In many regions of Turkmenistan meal is cooked in the cast iron boiler of the hemispherical shape - gazan. Even urban residents use the gazan for cooking palov, because palov that is cooked in a stew pan is considered less tasty. Other posts from the rubric Turkmen cuisine.